As you probably know, I pretty much love pulling out all the stops for kid’s birthday parties. Give me a Donut Bar or sparkly treat table to put together and I’m a happy girl. And don’t get me started about my unquenchable love for favors (and the direct result of that love- overstuffed favor bags everysingletime). 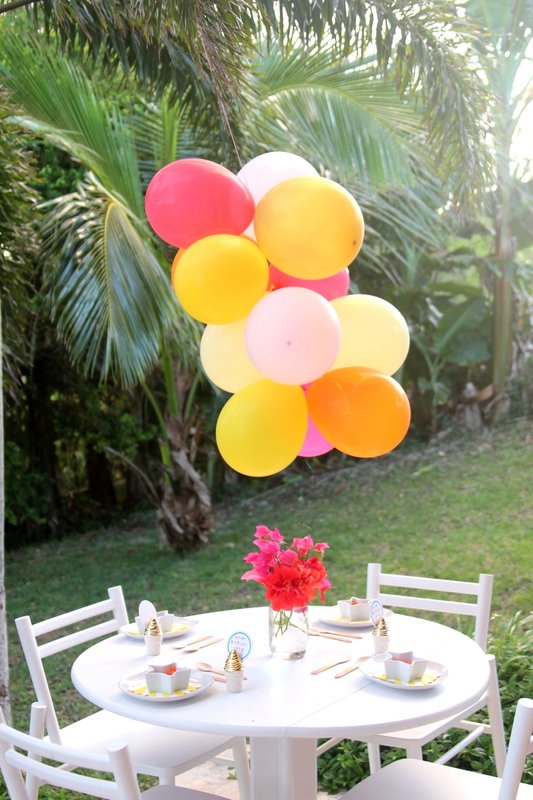 However, it feels like most of the celebrating we do happens far more spontaneously than big, over the top, birthday parties. And, honestly, I love our little last minute celebrations just as much. 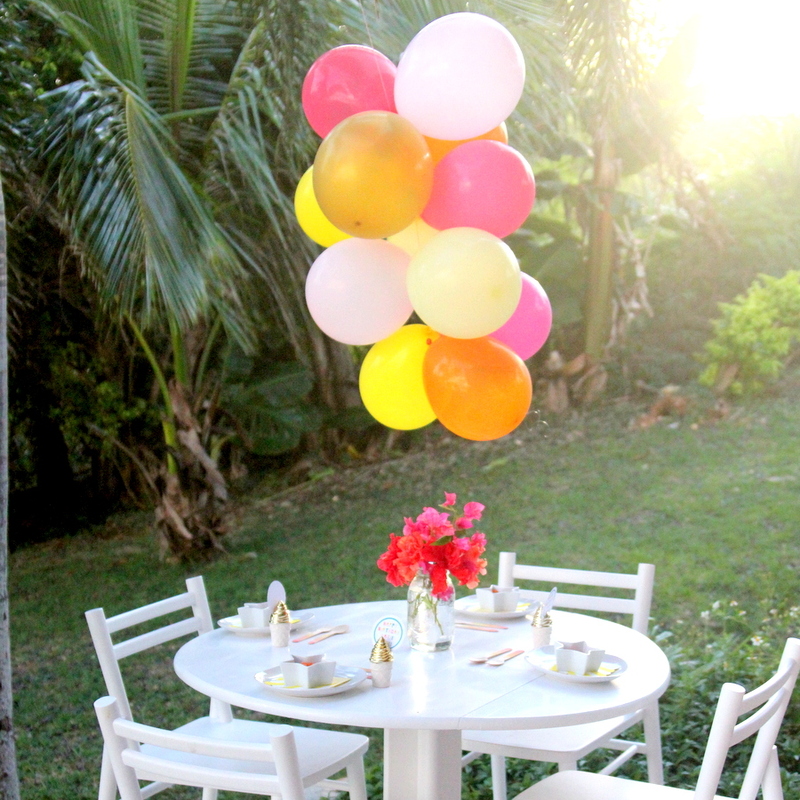 This was definitely the case last week, when Piper and I decided a couple of hours before guests arrived for dinner that a ‘mini birthday party’ for one of our guests would be a super fun addition to the evening. Luckily, this little festive set up came together in no time! 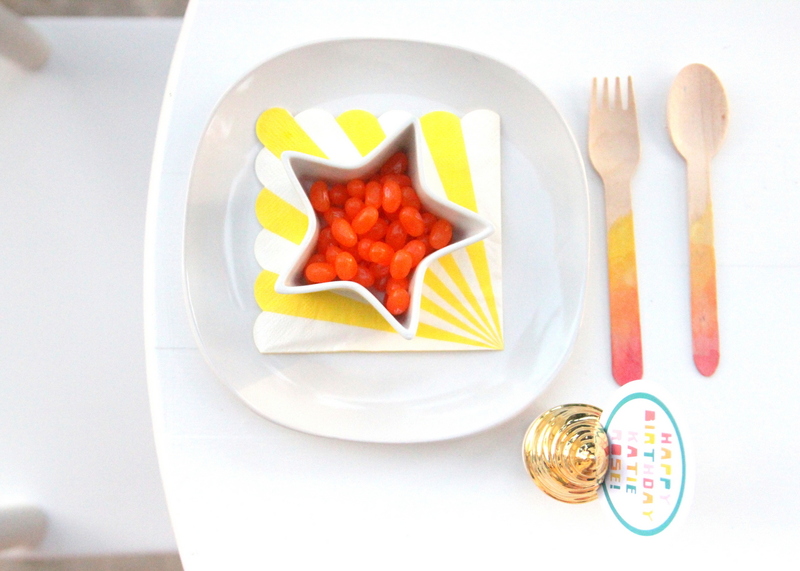 After rounding up some happy place settings (complete with jelly beans, because what says ‘mini birthday party’ better than tangerine flavored sugar? 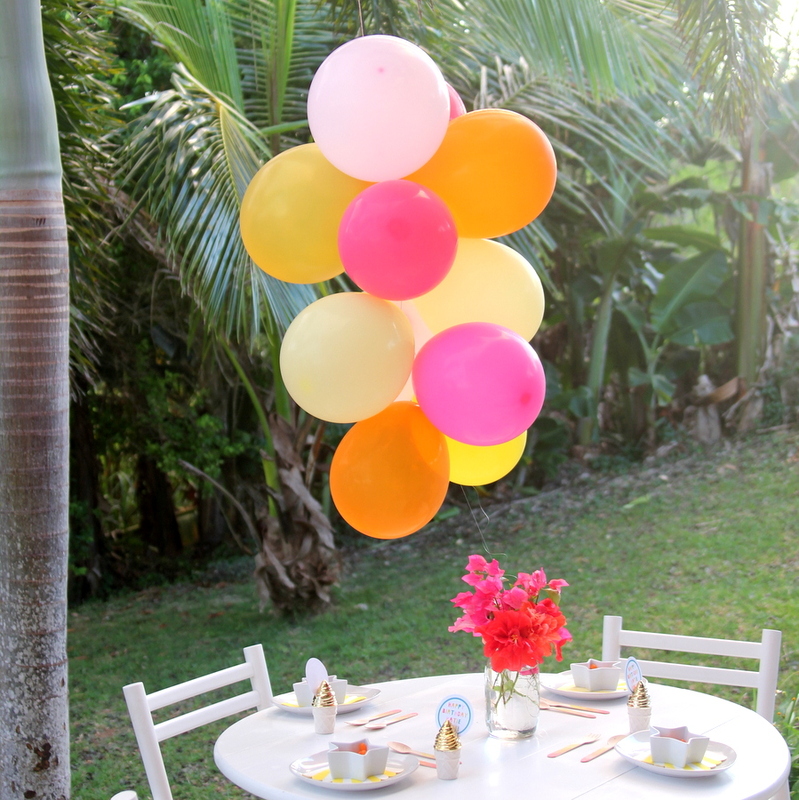 ), printing out some bright birthday labels, picking a bouquet of flowers from our back yard, and stringing together a balloon chandelier, we were in business. 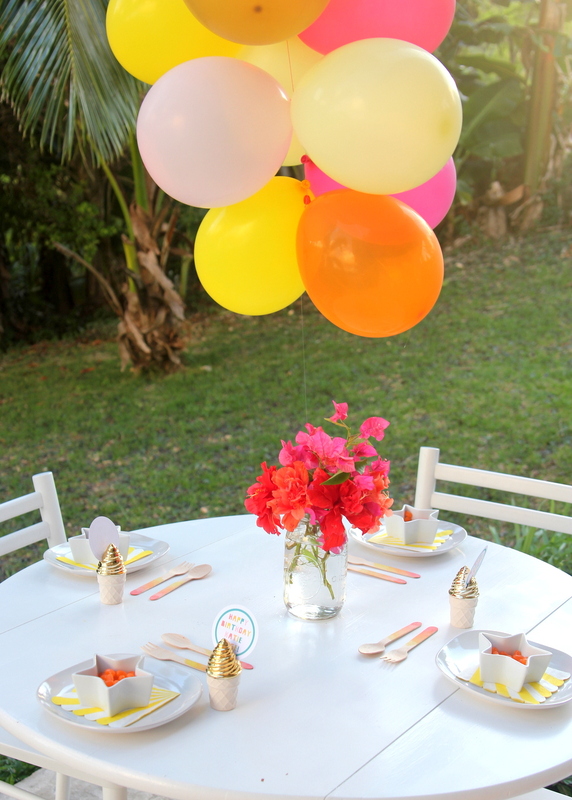 The kids loved having their own extra festive table (and the jelly beans), Burke and Piper’s friend loved the mini-party, and it took less than an hour and only supplies I had on hand to put together. Win. Win. Extra win.